They keep turning up don't they? Wonder if there will be any successful egg incubation this year given the weather (and assuming the warm spell continues)? Think i read somewhere it's nearly happened in the UK previously? Yellow-bellied Slider Trachemys scripta scripta photographed a week ago, disused gravel pit, South Cerney, Glos. we see quite a few of these along the canal in hythe in kent, there are also quite a few reports of those large african land snails, this has happened ver a number of years but i guess they have long lives so will be here for a fair bit. Yes, animals that hibernate tend to have longevity, although they can disappear. Locally, terrapins have been lost owing to canal dredging and i've noticed they've gone from certain fishing lakes too. 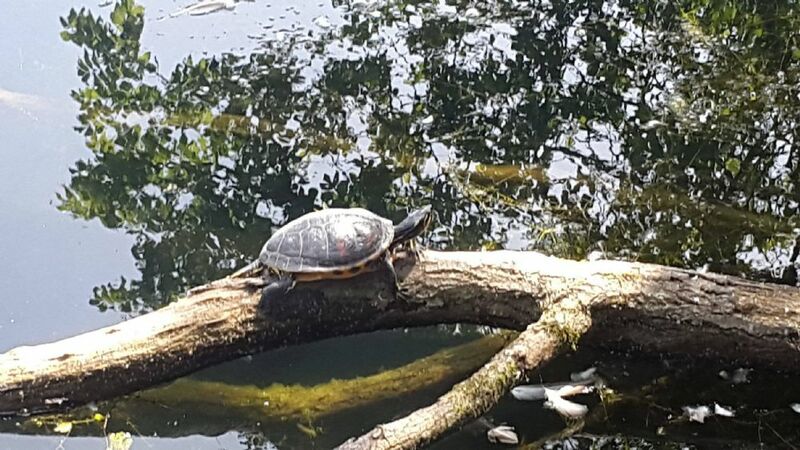 Anglers sometimes catch them and some of them view terrapins as an unwelcome nuisance.